The Cass Gilbert Society has completed this one-year project. For more information contact the Society using our contact page. 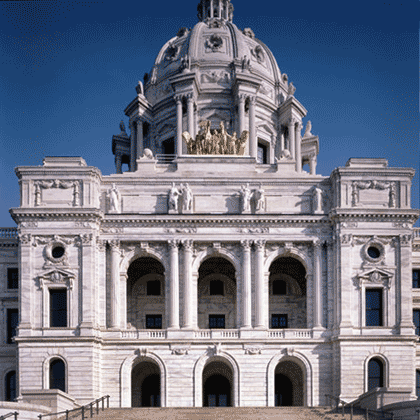 Learn about Cass Gilbert's work visit our Minnesota State Capitol website page and discover more about his full career. View online at TPT: Host Mary Lahammer explores the top-to-bottom three-year $300 million restoration. This project has been financed with funds provided by the State of Minnesota from the Arts and Cultural Heritage Fund through the Minnesota Historical Society.